With the weather getting warmer frozen treats are just the thing we need! Even better... 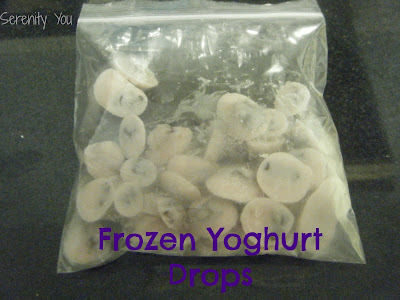 HEALTHY frozen snacks! Wanna go even better than that? Quick and easy, frozen, healthy snacks! That's right! Aside from the freezing time, the Frozen Yoghurt Drops by Serenity You take hardly no time at all to prepare. They look yummy, don't they? No wonder they were the most clicked link! You can click HERE to visit Serenity You to see how easy they are to make.